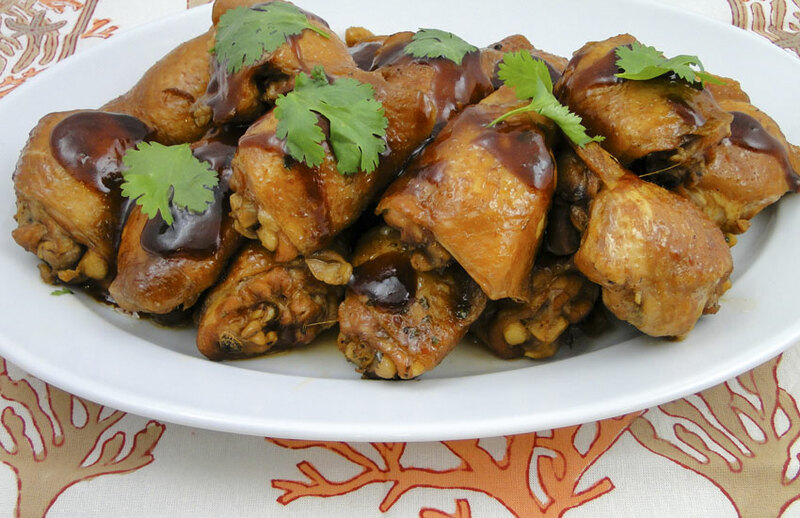 Shoyu chicken is the the traditional Hawaiian recipe for teriyaki chicken. 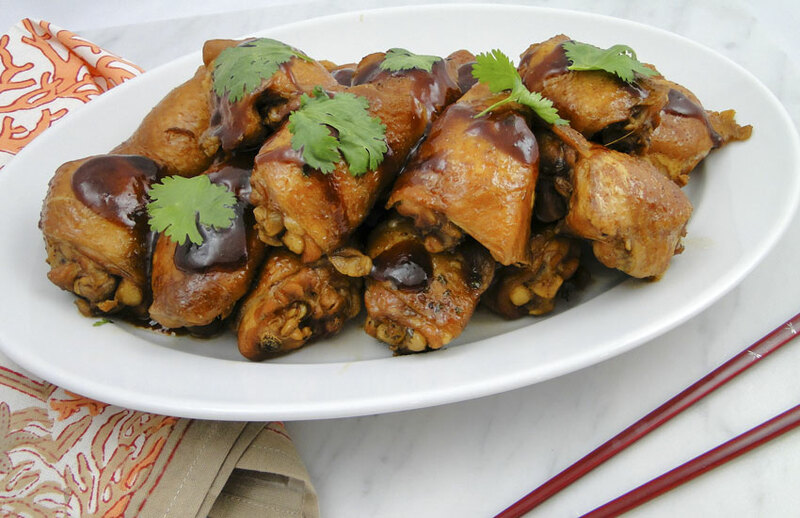 Shoyu chicken is cooked in a pot, not on a grill or in the oven, and results in ginger-fragrent, fork-tender chicken with a deep mahogany skin. 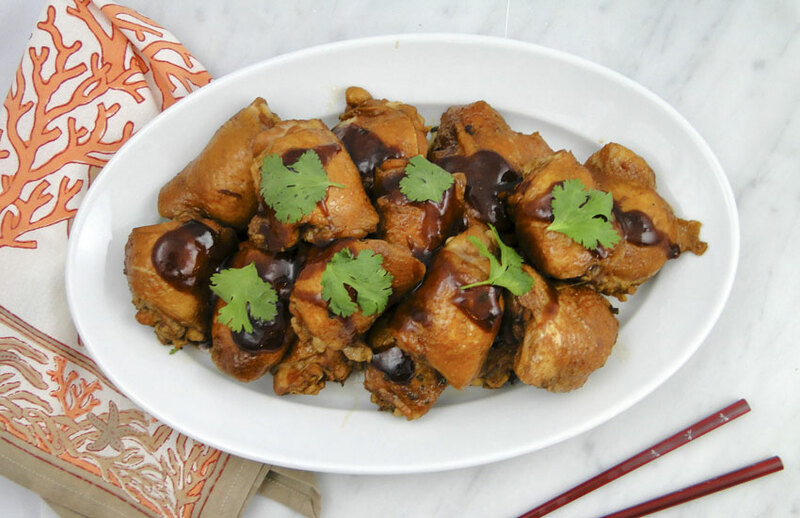 Shoyu means "soy sauce," and is the one ingredient that is always included in shoyu chicken recipes. After soy sauce, everyone has their own variations. Most commonly locals just throw in whatever is in the fridge, including: rice vinegar, Worcestershire sauce, catsup, sugar, brown sugar, honey, chicken broth, beer, saki, guava juice, ginger, garlic, cilantro, Chinese Five Spice and star anise. Shoyu chicken is kind of hard to mess up. The only thing you don't want to do is over cook the chicken or it will be tough. I use Sam Choy's recipe, which he finishes with a glaze made from the shoyu broth the chicken cooks in. It takes a couple extra minutes, but is a beautiful finishing touch. Mirin and Chinese Five Spice are available in many grocery markets. Chinese Five Spice is a powdered combination of anise pepper, cloves, cinnamon, fennel and star anise. Before preparing, check out my tip for peeling fresh ginger. This is the dish my daughter Lauren always requested for her birthday dinner and is always a hit with kids. Remember to use gluten free soy sauce if you are on a gluten free diet. Ginger-scented and fork-tender, traditional shoyu chicken is a Hawaiian indulgence you won't want to miss. Combine first 8 ingredients in a pot large enough to hold all the chicken. Stir to combine and bring to a boil. Add the chicken and return to a boil. Reduce heat an cook for 20 to 25 minutes, or until chicken is cooked through. Don't over cook. Remove the chicken from the pot and put it on a serving platter. Keep warm. Remove one cup of shoyu broth from the cooking pot and skim off fat from the top. 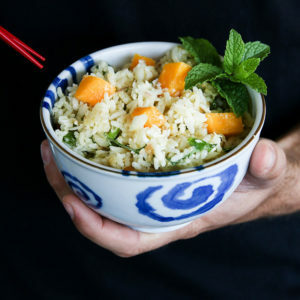 Discard the remaining sauce, or better yet, serve it with a big bowl of steamed rice. Return the defatted shoyu broth to the cooking pot. Bring to a boil. In a small bowl, mix cornstarch and water and whisk into boiling broth. Reduce heat and cook until thickened, stirring frequently. It just takes a minute or two. 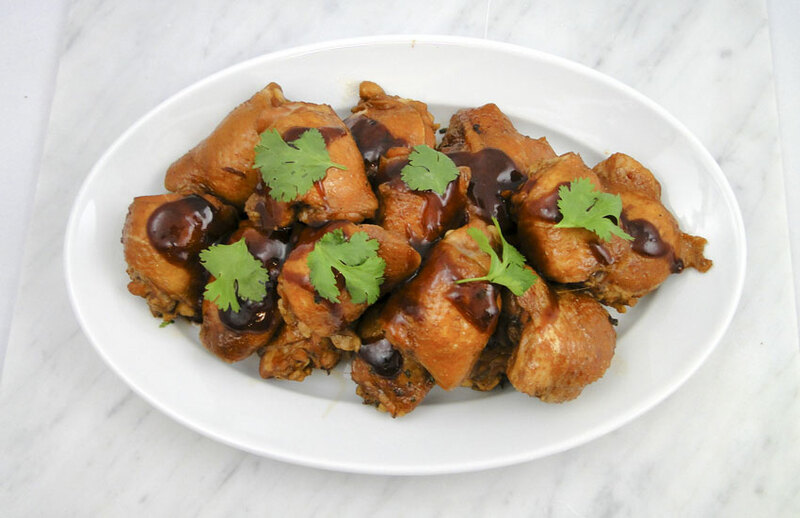 Brush glaze over chicken and garnish with cilantro leaves. Made this last night – flavors were amazing but 20 min cook time for the chicken was not enough. I am glad you enjoyed the flavor. 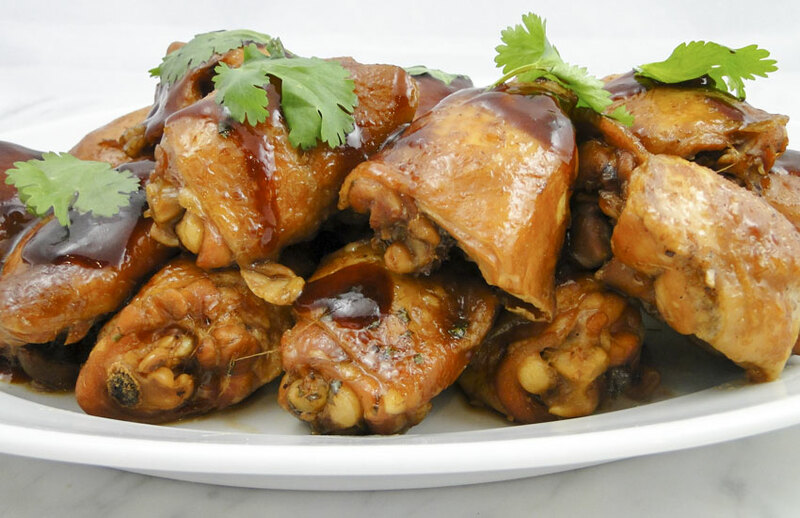 The cooking time can vary a little bit depending on the size of your chicken thighs and how high your flame is. You should be able to cook them within 30 minutes no matter how big they are. Thank you for mentioning as this may help others. What does T stand for ? “T” stands for Tablespoon. And “t” stands for teaspoon. You need to simmer on low for at least an hour to cook it tender and really get that delicious shoyu sauce in the chicken! I thought I followed the recipe exactly but the chicken was so salty my family could not eat it. Does it really call for 3 cups of soy sauce? Hi Susan, I am really sorry the recipe did not work out for you. Yes, I do use 3 cups of soy sauce. The idea is to simmer the chicken in the soy sauce/ water/mirin, sugar and spice mixture, but not to consume all the residual sauce. I have been making this chicken for 25 years and variations of it for longer than that, always with rave reviews. So I am trying to figure out what may have gone wrong. My first thought is what brand of soy sauce did you use? There are some brands that are really salty. I use San J tamari gluten-free soy sauce as I have family members who are gluten free and it is less salty than many brands. 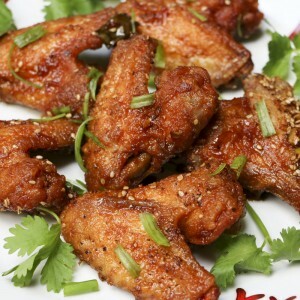 You can also use a low-sodium soy sauce, but they typically have added chemicals. So another alternative is to dilute the soy sauce with water, orange juice or even some beer. Again, my apologies. This dish is my go to for quick and easy dinners with friends. It never fails to impress our guests. I served it last night with Kim’s Asian Slaw for a healthy paleo dinner. 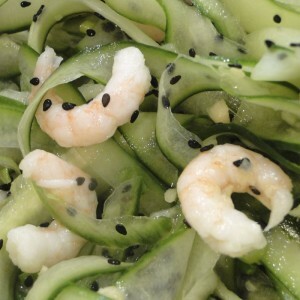 We all agreed that it is the subtle flavors in Kim’s recipes that that captivates us. Thank you Kim for another fabulous meal! Wow Barbara! Thank you for the love! Re. Shoyu…the Japanese soy sauces are much saltier and seem best for marinating. Chinese soy sauces are sweeter and less salty and better for cooking and seasoning. I’ve used Aloha Shoyu for about 40 years and believe they do carry a low-salt variety (and I buy it in the gallon or half-gallon containers as it lasts a long time). Thank you for writing in Barbara. I grew up using Aloha Soy sauce too. Soy sauce is one of those ingredients that you should try different brands until you find the one you like. There are big differences in flavor, viscosity and saltiness. Here is a great article on the different types of soy sauce, as well as the best way to store soy sauce. So looking forward to trying this delicious sounding recipe Kim. I am wondering if this would work with boneless/skinless thighs? I am working on a luau for about 60 senior adults…would I be over the top for attempting this? 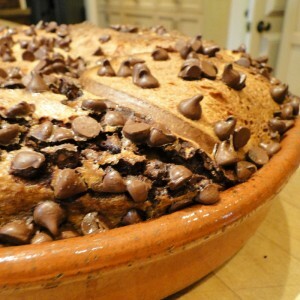 By the way, we LOVE your Hawaiian Chocolate Bread Pudding. Thank you for sharing all your gifts and talents with us! 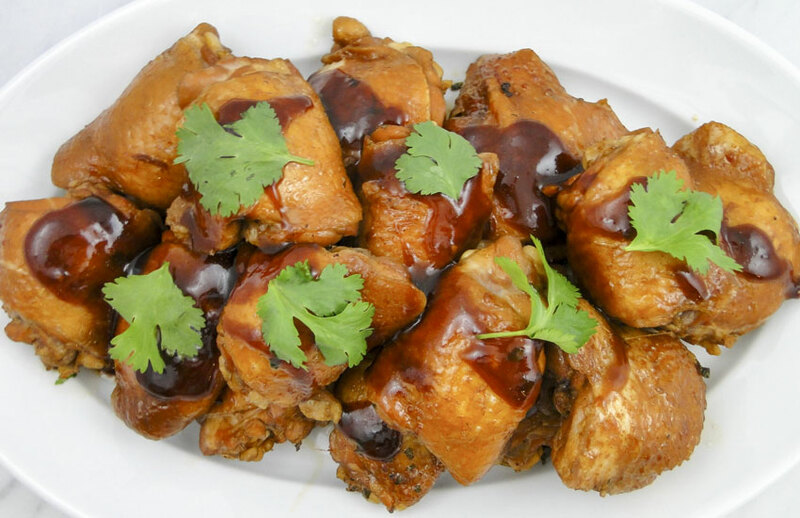 This recipe would work with boneless, skinless thighs, but in my opinion would not be as good. 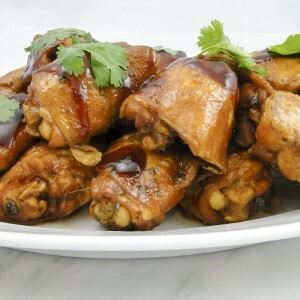 The skin absorbs the sauce and adds flavor and cooking chicken with the bone on also adds flavor. The chicken is fork tender and almost falls off the bones, so it is really not hard to eat, but you know your guests best. I think you can absolutely do this for 60 people. You will just need several large pots and a whole lot of soy sauce. I’d go to an Asian market where they sell soy sauce by the gallon! I’m so glad you enjoy the bread pudding. It has brought a lot of people joy — until they step on the scale the next day! May I suggest Perfect Asian Sesame Noodles as a side for your luau? They can be made in advance, a little goes a long way, they can be served plain or you can add mango, chopped peanuts, chicken, etc… to enhance them. Good luck! It sounds like a wonderful event. Hi Jerry, I suspect that the school had an enormous pot and put many whole chickens in to cook. I also suspect that this was one of the students’ favorite meals. This recipe brings back a lot of memories. My mom used to live in Pacific Heights and the Diamond Shoyu factory was at the base of the mountain. When they were brewing you could smell the soy sauce everywhere. I made this for dinner tonight! I have several different Shoyu Chicken recipes but wanted to try something new! The five spice ingredient caught my eye as I surfed the net to find a different way to prepare this dish. Needless to say, it was a success! The five spice aroma filled our home and intensified our hunger! I served it up with some steamed rice, buttered corn, and garnished it with thinly sliced green onions! I already packed some away for my lunch tomorrow! 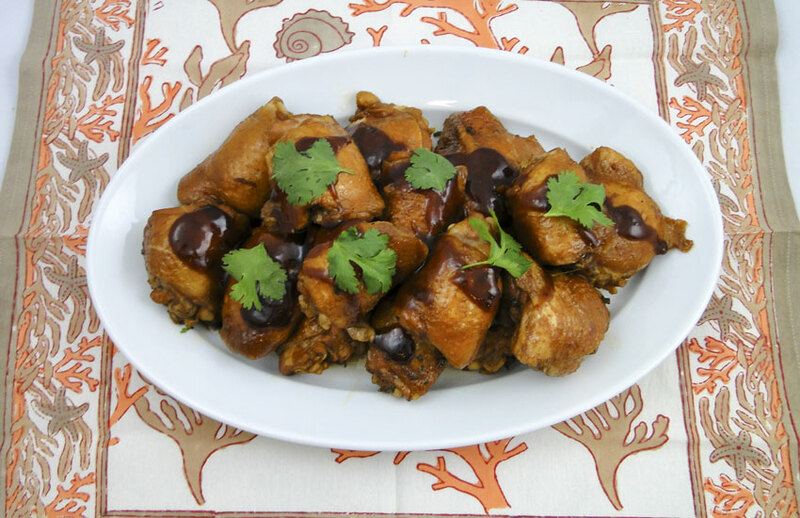 For this recipe, I used my all-time favorite Aloha Shoyu Low Sodium Soy Sauce. My children loved it and when the kids love it, you now it’s a hit!! Thank you for sharing your recipe with us! Aloha….